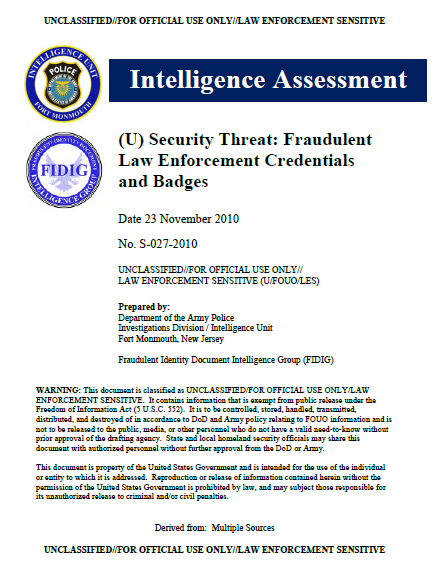 (U) This intelligence assessment explores the availability to purchase fraudulent federal law enforcement credentials and badges and how their use is a direct threat to the security of military installations, federal facilities, other critical infrastructure. (U) Data for this report was obtained from FBI information, DoD information, GAO reports, and open-source documents. Additionally, data was obtained directly from the investigative efforts of the agency publishing the assessment. The reliability of these sources is assessed as HIGH. 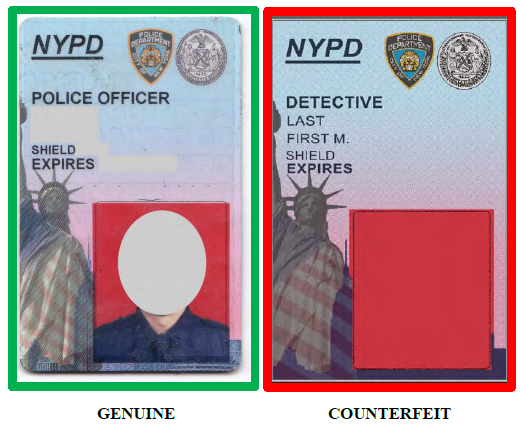 (U) How easily and inexpensively can high quality fraudulent badges and credentials be obtained by individuals who threaten the security of the United States? (U) In regards to access to our military installations, federal facilities and other critical infrastructure, to what extent do we challenge the identification of individuals displaying law enforcement credentials? 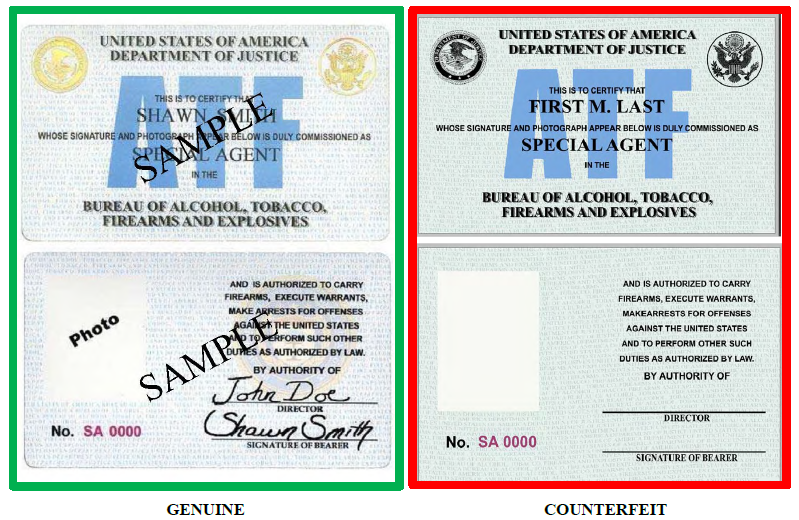 (U) What forms of secondary identification are available to assist personnel in verifying the legitimacy and an individual displaying law enforcement credentials? (U) Terrorists will continue to plot attacks against military installations, federal facilities and other critical infrastructure. (U) Attacks against installations and facilities can be facilities by individuals using fraudulent law enforcement badges and credentials to gain access as part of their surveillance, planning and attack phases of their operation. (U) The law enforcement badge is a symbol of authority that traces back to medieval times, when the sitting king would grant coats of arms and heraldic shields to those who served the kingdom of his court. Coats of arms were usually found on shields, and these symbol indicated official recognition by the ruler of the land. It conveyed that the bearer of the shield had the authority to display it in the name of the king. Law enforcement badges and credentials started being utilized in the United States with the formation of some of the earliest federal law enforcement agencies such as the United States Marshals Service and the Postal Inspection Service.